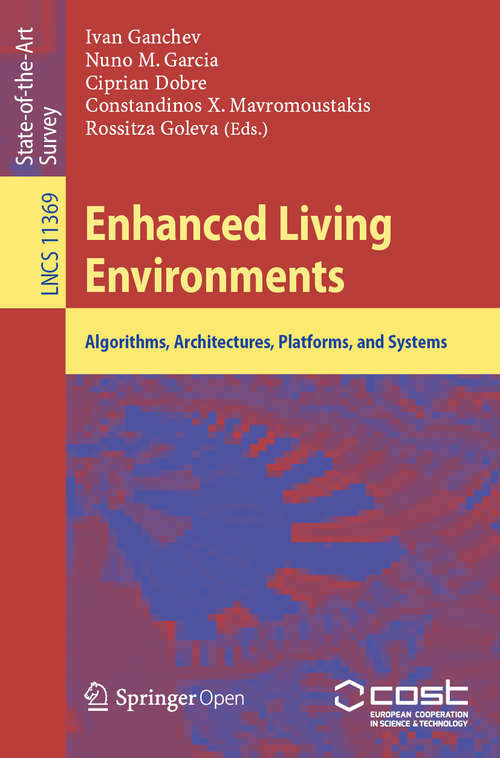 This open access book was prepared as a Final Publication of the COST Action IC1303 “Algorithms, Architectures and Platforms for Enhanced Living Environments (AAPELE)”. The concept of Enhanced Living Environments (ELE) refers to the area of Ambient Assisted Living (AAL) that is more related with Information and Communication Technologies (ICT). Effective ELE solutions require appropriate ICT algorithms, architectures, platforms, and systems, having in view the advance of science and technology in this area and the development of new and innovative solutions that can provide improvements in the quality of life for people in their homes and can reduce the financial burden on the budgets of the healthcare providers.The aim of this book is to become a state-of-the-art reference, discussing progress made, as well as prompting future directions on theories, practices, standards, and strategies related to the ELE area. The book contains 12 chapters and can serve as a valuable reference for undergraduate students, post-graduate students, educators, faculty members, researchers, engineers, medical doctors, healthcare organizations, insurance companies, and research strategists working in this area.